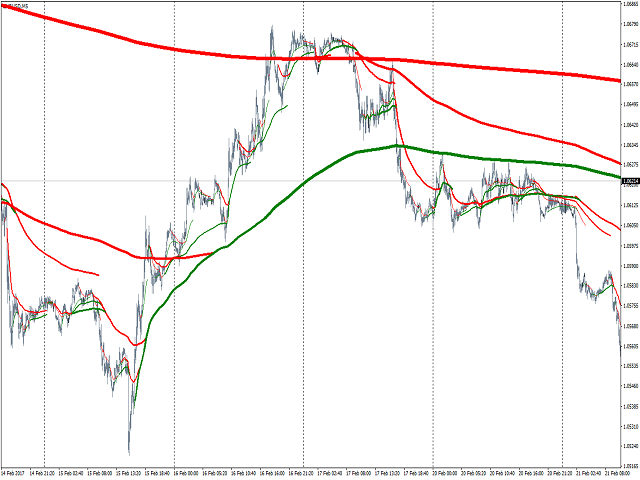 The indicator plots various moving averages with a dynamic period (automatically calculated) on your chart. They work on every timeframe, every market. ‌W‌hen Price is trending down, the resistance Moving Averages (Red Color) show us the level where the price will probably meet resistance. So, it can be a good idea to sell when price reaches a red line. When a trend is down, you will see many red lines, so not only they show you important dynamic resistance levels, but they also tell you that the trend is down. Apart from the colors, there are no inputs for this indicator. 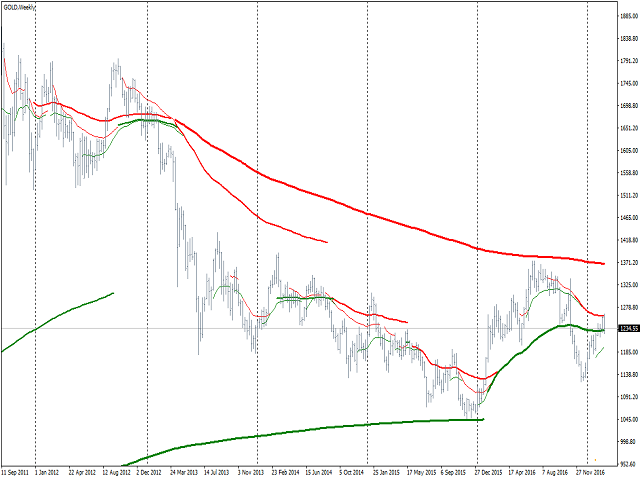 It will automatically plot the moving averages based on five multi-fractal trends. The best way to use this indicator is in conjunction with one of the other MC Fractal Studies ©. You can find them in MQL5 Market under the name MC Fractal Studies Main Indicators. Tip: Keep MAX 5000 bars in your chart for a smooth use of MC Fractal Studies ©. Tools > Options > Charts > Max Bars in Chart: put 5000. Then close and reopen your MetaTrader 4. Minor fixes in MultiFractal algorithm. - Improvements on the core algorithm, for a more precise and correct mapping of the multifractal structure of charts.